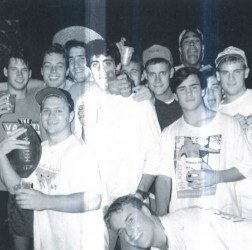 "In 1896, the Gamma Alpha chapter of Sigma Nu became the fourth Greek organization to be established on campus. Sigma Nu is one of Tech's leading fraternities. We excel in intramural competition and campus involvement, community service, philanthropy, scholarship and good times. 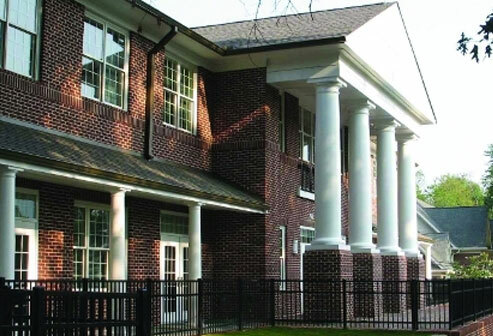 On campus, there is seldom an area where Sigma Nu does not exert it's influence. Our brothers play active roles in the Homecoming, Greek Week, and Student Center Committees. We are active in barbell, water-skiing, and swim clubs, as well as the varsity football team and the FASET program. Our attention to academics can be seen when each quarter we rank among the top fraternities with an average better than that of non-fraternity men." If you recognize yourself or any of your friends from these photos let us know! 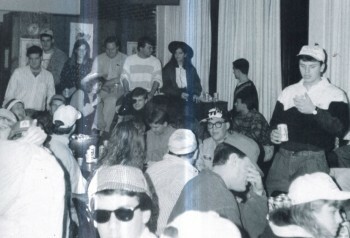 Is this how you remember Sigma Nu in 1991?